Sign in at Noon — Shot gun start at 1 p.m.
Fee and Registration due by April 20, walk-ons will be permitted on April 28, dependent on available openings. Lunch and dinner are provided for all who register by April 20, 2018. 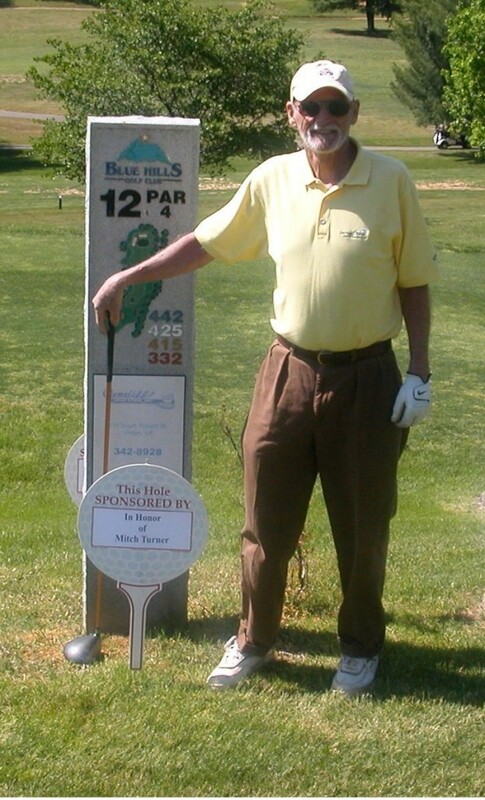 Mitch Turner fought colon cancer for six years and throughout his battle was very involved in efforts to educate others and make them aware of the importance of early detection and screening. Even after his passing, he continued to help by donating his body to cancer research in hopes that “they discover a better or new way” to treat cancer. The purpose of the tournament is to continue our Dad’s work and raise cancer prevention awareness and to money for cancer research. Proceeds will be donated to the Colon Cancer Coalition and the American Cancer Society. Past tournaments have raised over $20,000! Read how this family turned the loss of a father into hope and celebration in 2011.